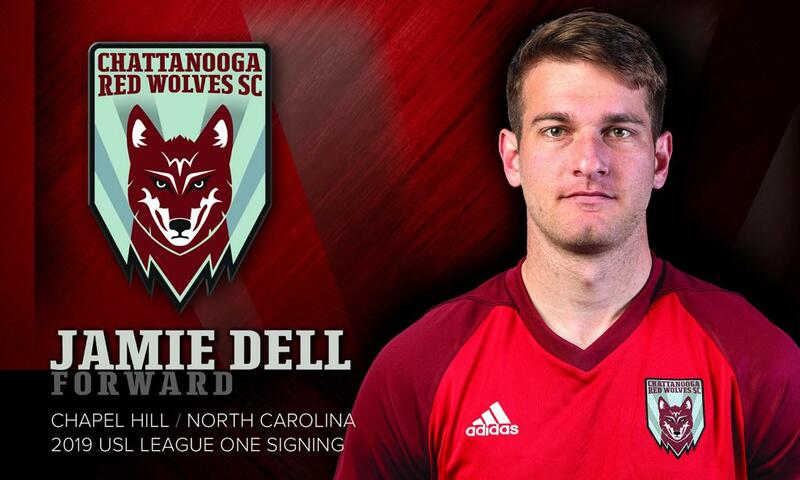 Chattanooga Red Wolves SC has signed Jamie Dell to its USL League One team. Dell will join the club for its inaugural season from Australia’s Seaford Rangers FC, pending league and federation approval. The 25-year-old midfielder signed with Australia’s Seaford Rangers FC ahead of the 2018 season. He made 17 appearances, tallied five goals and helped lead the team to its first trip to the FFA Cup. Prior to his time in Australia, Dell rostered with Sweden’s IFK Kumla, making 21 appearances for the Division 3 team during the 2017 season. Dell signed his first professional contract in 2015 with USL Championship (formerly NASL) side Carolina RailHawks. After spending one season with the Railhawks, Dell signed with USL Championship side FC Cincinnati in 2016. The Red Wolves are hitting the road to face Greenville Triumph SC at Legacy Early College Field on Saturday, April 13. Kickoff is 7 p.m. local time. The team is back home Saturday, April 27 to face South Georgia Tormenta FC at David Stanton Field. at 7 p.m. local time. For tickets, visit chattredwolves.com/tickets.